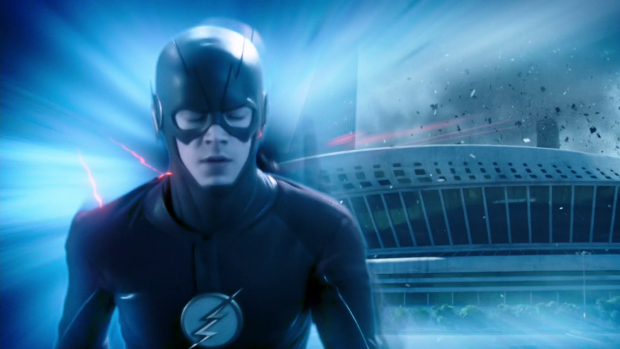 The Flash looks back to the past as Barry travels back in time to look for help increasing his speed from Eobard Thawne. Time travel is a really tricky idea in storytelling and The Flash hasn’t typically handled it all that well. When Barry decided that he was going to travel back in time to get Thawne’s help solving the speed equation he has been working on I couldn’t help thinking how stupid an idea it was and all the ways it could possibly go wrong. Naturally it does go horribly wrong but we’ll get to that. The logic behind choosing when to travel back to was handled well. Cisco and Caitlin looked back on the last year of adventures and decided that the best time was during the events of “The Sound and the Fury”. 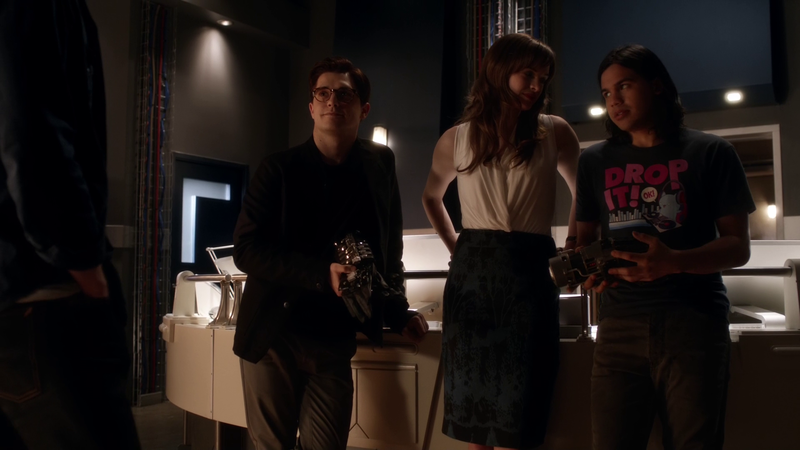 It all works because they had a little downtime before Pied Piper escaped from the pipeline and any irregularities in Barry’s behaviour could easily be attributed to the fact that Team Flash were angry with Wells/Thawne since his knowledge that the particle accelerator might explode had just become known to them. It all works in theory and it was a great scene showing the intelligence of Cisco and Caitlin as they went over the events of that time to make sure that the plan was solid. There was also a defined time limit as Caitlin’s sedative would render the younger Barry unconscious for 6 hours so Barry had that amount of time to get the information he needed and come back. It’s a shame that Barry is the one to mess it up because he is completely incapable of blending in, even to his own life. Cisco mentions his “performance” as his alternate self on Earth-2 but I have to assume he was being sarcastic as there’s no way anyone could consider his attempt to blend in successful. Barry fails pretty early on when he is spotted by his younger self before he can knock him out. He eventually manages to defeat himself in a really cool Flash vs. Flash sequence but it’s clear that Barry won’t be able to do this without leaving more fingerprints than he should. His behaviour after he starts posing as his younger self doesn’t do him any favours either. He meanders along acting strangely to everyone he meets and casually changing the timeline despite being told that was the one thing he couldn’t do. When he pointed out Pied Piper’s explosive hearing aid I couldn’t help but roll my eyes at the rampant stupidity of this decision. He already knows how this turns out so why is he consciously changing it? He remembers that Cisco gets hurt as a result fine but he also knows that he isn’t permanently injured. It’s just another of the stupid decisions he makes while there. Barry’s stupidity is at least consistent with his character as he wasn’t very good at blending in on Earth-2 so it seems that he’s just not very good at this. 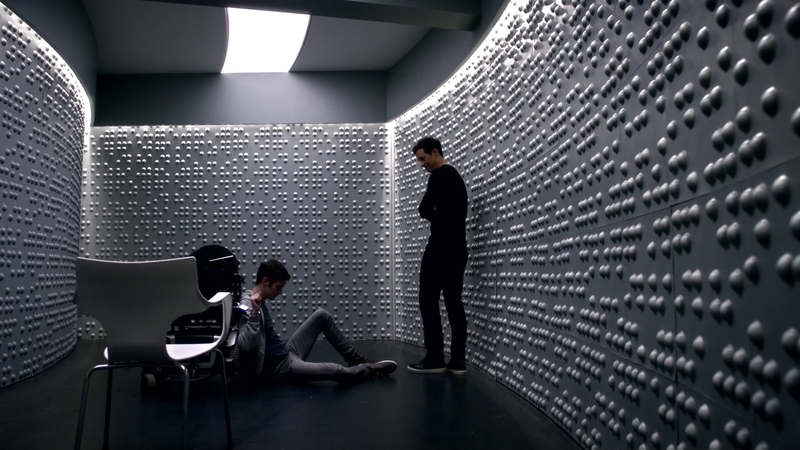 It is something that can be held against the episode as Barry should be written as at least attempting to blend in rather than changing things on a whim despite knowing better. Predictably Eobard Thawne shows an ability to sniff out a time traveller a mile off. The appearance of a Time Wraith is a dead giveaway but it’s clear that he’s picking up on the way Barry is acting from early on. His sudden advanced work on the speed equation will be another dead giveaway as the Barry of this time doesn’t have anywhere near that level of initiative because he hasn’t been faced with having to take charge of the development of his abilities at this point. 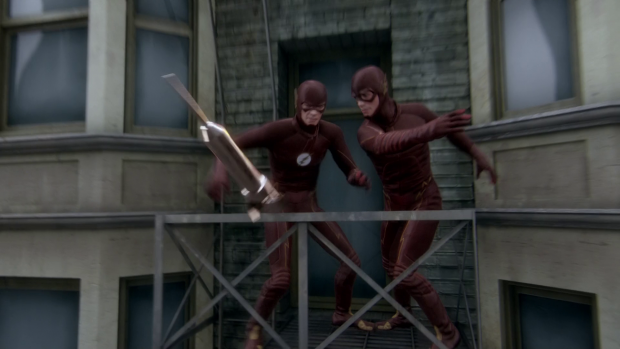 The scene where Thawne holds Barry captive in the time vault is a definite highlight though. Tom Cavenagh proves how great an actor he is once again by playing the two distinct versions of Wells in the same episode. It’s a great reminder of how different the Thawne Wells is to Harry. I like the contrast between the two and how opposite they are. Harry is blunt and constantly irritated where Thawne is outwardly pleasant but constantly unsettling as it’s clear that he’s hiding something just beneath the surface. I like that Thawne quickly puts it together that he must have lost otherwise Barry wouldn’t be here but Barry manages to think on his feet and alter the real events enough that Thawne comes across as the winner. Barry coming to the past to increase his speed to stop the singularity seems fairly plausible to Thawne so he reluctantly agrees to help Barry do that and return to his own time. It all works within the context of the story and it’s good to see that Barry isn’t always so idiotic but it doesn’t all quite add up. Even if Thawne believes Barry’s story then why does he decide to help him? Surely having a version of the Flash with the ability to time travel is something he could use to accelerate his plans to return to his own time. Thawne was nothing if not self-serving so it makes no sense that he wouldn’t try to use this situation to his own advantage. The Time Wraith was a strange and random addition that doesn’t really make a lot of sense when some thought is put into it. According to Thawne the Time Wraiths have always been a thing and Barry has just been lucky enough to never encounter one before now despite the three previous trips he has taken through time with two of them resulting in significant changes. It made me wonder where the Time Masters are in all of this because it has been established on Legends of Tomorrow that they are tasked with preserving the timeline. They must really hate Speedsters because they tend to do the opposite so this would have been a good opportunity for them to get involved. It really didn’t help that the Time Wraith looked like a Harry Potter Dementor and the direct reference to the similarity didn’t really excuse it. It also reminded me of the Black Flash in some ways as the singular purpose was for it to kill Barry. The CGI for the Time Wraith was really impressive though. One thing the episode did really well was remind us how different the show was a year ago. Cisco and Caitlin seem a lot less world weary and the version of Barry native to that time was noticeably different from his future counterpart. It isn’t to the same extent as the two versions of Harrison Wells but it’s clear that the character has changed since then. Having Eddie return was a nice touch. He didn’t have a profound effect on the events of the episode but the opportunity to give the character closure was taken when Barry had him record a farewell message to Iris so that she could help resolve her feelings about him and move on with her life. The content of the message was a little on the nose especially when he said that she doesn’t need him and can handle everything alone. 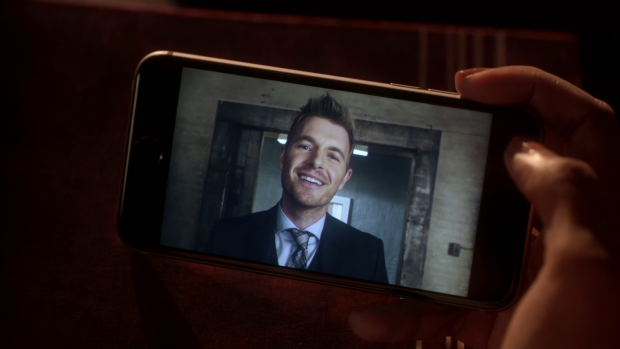 It’s not the most subtle but Rick Cosnett’s performance made it work. Most of the great moments came from Cisco as usual but the best one was him attempting to figure out who the “real” Barry is. Using knowledge about Star Trek II: The Wrath of Khan to convince Cisco that they were both who they claimed to be was pleasing to me considering how big a Star Trek fan I am and the way Cisco flipped on who he thought was the imposter was hilarious. It was good to see Andy Mientus back as the Pied Piper and he was used fairly well. Having him reformed in the present day was an interesting twist that also shows that Barry’s trip through time has changed things. It’ll be interesting to see if Hartley will be an ally to the team that crops up often or if this is just a one off. I also wonder if this is a harbinger of other changes that Barry doesn’t realise yet. The mission was broadly a success but it wouldn’t surprise me if a revelation of a significant change appears in the coming episodes. Generally speaking this is another misuse of time travel for this show. Barry’s behaviour in the past is so far beyond stupid as he completely fails to blend in and casually makes changes to the timeline. It was good to reflect on the past of the show and see how much things have changed but I feel that Barry could have been written more intelligently. Tom Cavenagh once again proves his ability as an actor when playing two completely different versions of Harrison Wells in a single episode. I like the idea that Barry has made some significant changes to the present as he knows it and the hint that there may be more he doesn’t currently know about but the constant changes in the rules of time travel on this show really irritate me. The Flash is taking another break and will be off the air until 19th April so I’ll see you all back here when it returns. When I first open any of your reviews, I always scroll right down to your rating before I start reading anything. The rating is all I look at, then I start to read. As usual, well, mostly, I can’t argue. It’s been a week since I’ve seen the episode and I just didn’t recall it being so bad, until I read your review and I completely agree with you.